One of the big launches this year will be the Haswell-E platform. It is pretty much common knowledge in hardware discussions that this means Haswell-E, X99 and DDR4 will effectively launch to the consumer on the same day. 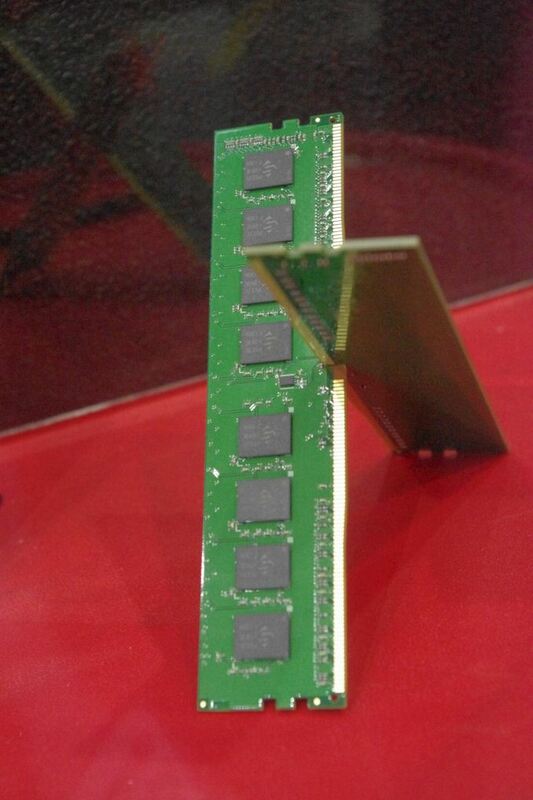 One element of that link that we have the fewest leaks and information from is the DRAM side. I explicitly asked the DRAM manufacturers I have most contact with if they would be showing any DDR4 – either modules, specifications or in action. Many of them obliged – it helps that a fair number also make SSDs and so Kristian was able to get a few snapshots. But talking to GeIL at Computex also revealed something a little more interesting: CAS Latencies. Memory, as I attempt to convey in reviews, is more than just the frequency stated. There are several sets of subtimings associated with the memory, often divided up into primary subtimings, secondary and tertiary. The primary ones are the most important, and arguably one of the most important of those is called the CAS Latency, or CL for short. Memory is usually quoted as a combination of frequency and CL, and in the past it has been easy to compare kits by comparing the results of Frequency divided by CL, such that the kit with the higher result is often the better performing. Moving from DDR3 to DDR4 means a move from 280-pin to 288-pin connections. The layout of the modules is slightly different, with the pins being different lengths (notice in the image above how the pins in the middle are longer than those at the edge) in order to help installing memory. Voltage moves down from 1.5 V to 1.2 V, and processors are expected to support DDR4-2133 by default. So when GeIL offers below 2133 MHz, I am a little taken aback, because their answer is ‘because some people will use it’. I hope that the reason they will use it is because the processor will not support above 1600 MHz. But this list gives that clear indication of CAS Latency between 1600 Mhz and 2400 MHz, with indications that 2666 MHz and 3200 MHz might be more common than we think. CAS Latency for DDR4 does seem a little down compared to DDR3, though this might be due to the initial batches of ICs coming through. I remember 2133 C11 being the first 2133 MHz DRAM off of the shelf, but now we can buy 2133 C8 very easily. Yeah, finding them "very easily" is a bit of an exaggeration. They exist, but only in the 4GB variant, and will cost you about 18€/GB in Europe, while you can get CL10 for about 8€/GB. That aside, the initial timings on DD4 seem to be in line with the upper end of DDR latencies. The photo above shows all CLs to be between 6.25 ns and 7.5 ns. The oldest and cheapest offers for DDR3 are still 1333 / CL 9 (6.75 ns) and 1600 / CL 11 (6.875 ns). The calculation of latency times is perfectly accurate. The technological tweaking that happened is the reason why we now get the same latencies at 1.2V which we used to get from 1.5V. As you noticed for your own set, increasing the voltage helps. Using 1.7V instead of 1.5V you have increased the final charge of all capacitors involved, so if the capacitor will nominally switch from "0" to "1" at 50% charge, the over-volted capacitor now only has to wait for 50%*1.5V/1.7V = 44% of full charge. reducing the voltage is mostly for laptops (and phones) in order to reduce power use and heat generation. However, on the desktop side of things it will be important down the line because smaller and smaller manufacturing processes are more and more allergic to high voltages, so when we start seeing single sticks of ram with 16+GB (Hynix has shown off a 128GB module) on them it is going to be possible without melting because of the lower voltage standard. 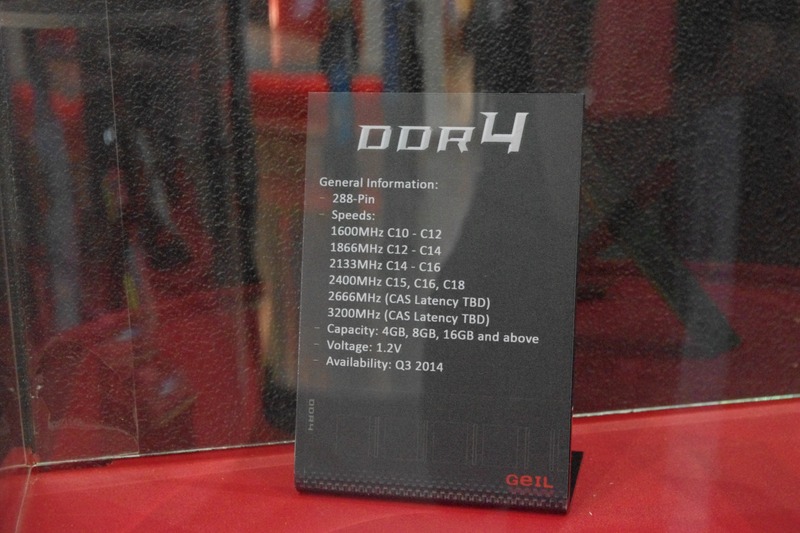 Overall I am glad to see DDR4 not increasing latency much compared to DDR3. when DDR3 came out the latency was a step backwards compared to the mature DDR2 on the market, and it took a while to catch up. 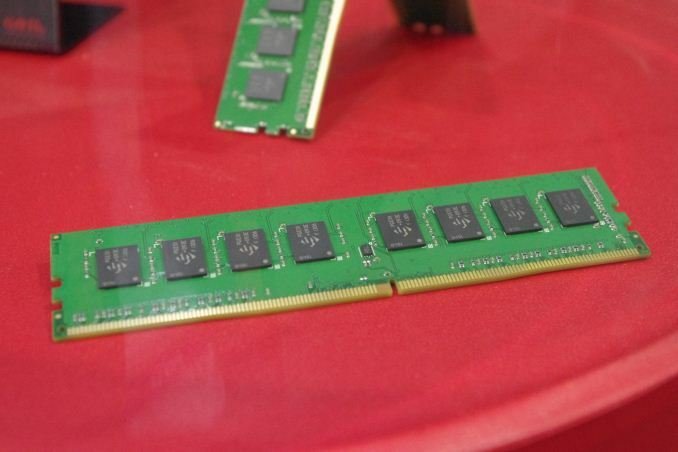 DDR4 is coming out the gate with a minor latency penalty while offering massive throughput improvements, and I am sure it will get better as it matures. "Voltage moves down from 1.5 V to 1.2 V, and processors are expected to support DDR3-2133 by default."